eBay is an online marketplace where the trade of goods and services takes place globally, and the payment for the services and products takes place as well. It operates in the United States, the UK, as well as other countries. With a current workforce of about 33,500 people, more than 16 billion dollars was generated in revenue in the year 2013, and a net profit of 2 billion dollars was recorded. The company has a strong market position which has been its major competitive advantage; however, there has been a recent increase in the pressure on internet retailers to collect sales taxes which has been scaring away potential customers from the online store. 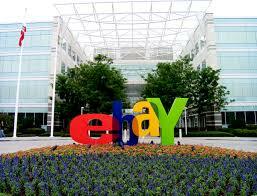 The company eBay operates unites both the sellers and the buyers, therefore eliminating the need for intermediaries. The company is also segmented. The main store is eBay.com, while there are other localized ones as well to some countries such as eBay.co.uk. The way the business is structured, also naturally makes it easy for more people to make use of their platform thereby leading to more revenue. The company has enjoyed wide recognition as being popular both within the United States and all over the world. Towards the end of the year 2013, there were over 128 million active members of the platform. This shows that they have a larger chunk of the market share of online stores, which therefore gives them a competitive advantage as well as a real bargaining power. There was a great increase in the revenue generated in the year 2013 compared to that of 2012 which is evident as there was a 21% increase between the two years. There was an increase in the net profit generated as well. Given their financial strength, this has helped their expansion activities. As the overall number of sales on eBay increases, so the number of counterfeit goods on the platform also increases. This has led to some lawsuits from notable brands such as Louis Vuitton Malletier, Tiffany & Co, Rolex among others. Only a little could be done by eBay to rectify this, as there is no way they could verify the location of the sellers. The company has taken responsible for most criminal activities carried out on the platform which leads to more liability on the business’s part. There has been a marked increase in the number of people looking into online shopping over the years. In the United States, in the year 2013, there was an increase of 16.5% over the previous year. A similar trend of growth in the number of people and amount spent on online stores was also seen in other countries such as U.K and others. Recently, customers prefer to pay through the virtual form of payments such as debit card processing, PayPal, and the likes in place of cash and cards. With the acquisition of PayPal in the year 2002 and other payment platforms, eBay has an edge in respect to this. In recent years, there has been an improvement in online advertisement. In the year 2012, the internet ad revenue recorded amounts to about $36.6 billion which is an increase of about 15% compared to that of the previous year. This trend was also seen in other countries as well. In 2011, eBay employed the services of Triad Retail Media to help with its display business, and they now manage all the on-site adverts on eBay.com. In a bid for the government to increase its revenue, it has been putting much pressure on online merchants to pay tax on goods sold online. This has been discouraging a lot of people from patronizing online stores, however. Just like most online stores, eBay is open to a lot of online scams such as the sale of fake products, as well as credit card fraud. Previous Previous post: Thank you for your donation.